At Goodin Farms we believe in continual herd and breed improvement. By utilizing gain tests, EPD’s, ultrasound data, and DNA testing we strive to produce only top quality Santa Gertrudis and Santa Gertrudis cross cattle. Our purebred Santa Gertrudis are show winners and commercial cattlemen come every year to purchase our crossbred Santa GertrudisXAngus, Santa GertrudisXRed Angus and Santa GertrudisXWagyu bulls and heifers. Our EMBRYO program is second to none and allows small farmers quick, affordable, easy access to the top bulls and females in the Santa Gertrudis breed. 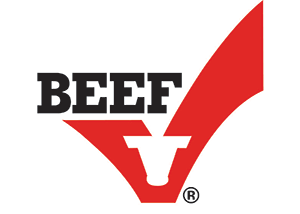 At Goodin Farms we raise top quality processed freezer beef, which we sell to restaurants and local families. Our partnership in the NuGen program has given us market ready animals — no more discounts at the sale barn. The market demands quality and at Goodin Farms we deliver. Goodin Farms is located in Austin, IN and is owned and operated by Berley, Terry and Jerry Goodin. Our farm is 34 miles north of Louisville, KY and 70 miles south of Indianapolis, IN on Interstate 65 at the Austin Exit. We hope you can visit us one day at our farm at Austin in the rolling hills of southern Indiana. The highest quality cattle for sale at all times! Hope to see you soon.